Good vibes and always a place for known and unknown musicians and vocalists. 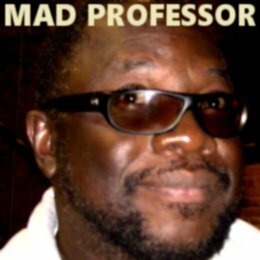 Back in the days of MP3.com, several artists had a Dub of their music mixed by the Mad Professor. In the same time, he recorded Reggae Greats like Yabby You and Michael Prophet and created more essential Dub listening like New Decade of DUB with JAH Shaka. Legendary for his DUB, another side of Mad Professor is his many Lovers' Rock releases. 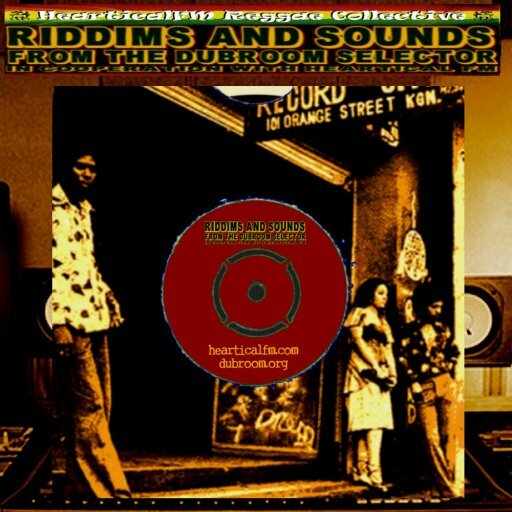 Lover's Rock is a very sweet, silky form of Reggae to which the UK seems to have some kind of signature and ARIWA plays -just like with that other trademark UK DUB- a central role. Usually, slackness is far away with Lovers' Rock and it's absolutely gone with the ROOTS DAUGHTERS that Mad Professor recorded and released. His recordings with singers like AISHA have reached classic status. ARIWA has not just recorded Reggae Music of the highest kind. Mad Professor has made a rather classic remake of Massive Attack's album No Protection, the ORB used his recordings with AISHA, and that's just two examples from the 1990's. He got an enormous blow when it turned out that in spite of the good and necessary vibrations produced in Ariwa studio, some wicked person(s) decided to become a thief in the night and robbed everything. A wicked, wicked thing indeed which too not just a lot of time from Mad Professor and his Ariwa crew. Fortunately he regained his desire to share his music with the rest of mankind and we are now obviously at the point where ARIWA is the name for one of the essential sounds of Roots Reggae that is present in this time. With the rise of the computer and other digital technology came the rise of computer-based music. After the initial time it took to overcome prejudice, computer-based music is now considered to be equal to that which is not directly programmed into a Pentium or what have you. 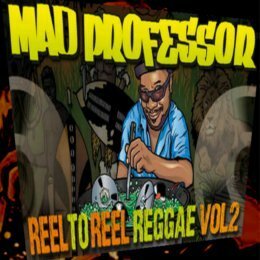 Mad Professor released the second volume of "Reel To Reel Reggae", an excellent sample series for producers which is purchased, reviewed and used by the Dubroom. 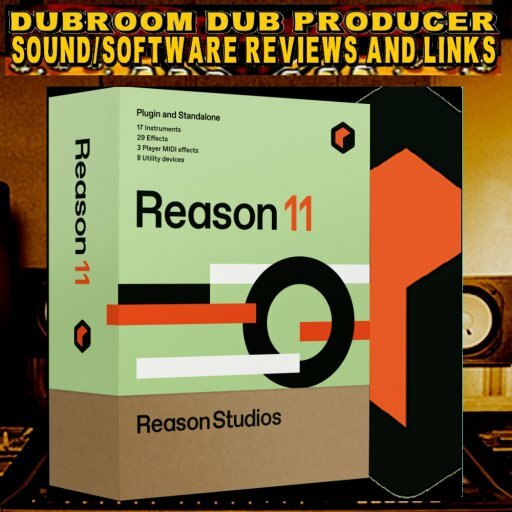 Only a short period after Reel To Reel Reggae Volume Two was released and reviewed by the Dubroom, this website released a three-track EP with extended Dub created directly with Mad Professor's Sample Pack. 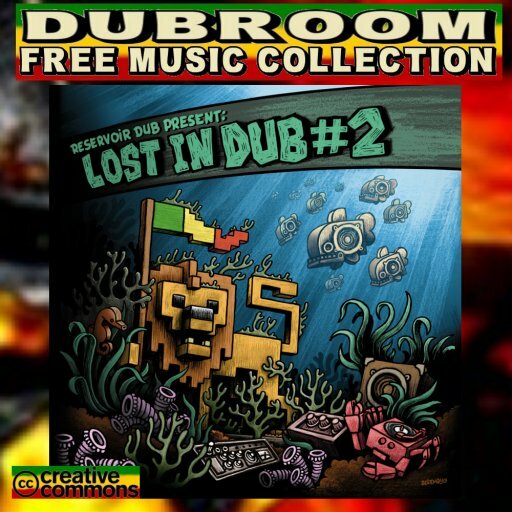 A tribute called "Reel To Real Dubwise", which can be downloaded for free from the Dubroom and a variety of Online Music Distributors like LAST.fm, REVERBNATION.com, and VERSIONIST.net. It is not so difficult to find information and music by the Mad Professor on the Internet. Take YouTube, where it is rather easy to find several video's where he performs live or gives interviews. Even tutorials, when you look a bit deeper. It's not so hard to take a listen, for example at ARIWA's Channel At Youtube or straight from the ARIWA website. WWW, July 2014 - They have absolutely nothing to do with (DUB) Reggae as far as the online information gathered for this review has shown, but that doesn't really mean anything as far as (DUB) Reggae goes. A little cryptic perhaps, but nevertheless quite accurate when it comes to the three free female vocal packs reviewed in this article. When King Tubby started to develop the Art of DUB, he started a technique that would be incorporated in just about every electronic musical genre you can think of, from Hip Hop to EDM. A few styles like Dubstep or Drum 'n' Bass even have Reggae phrases incorporated in their names. This mere fact alone completely justifies and explains why it could be interesting for your online (DUB) Reggae producer to browse a little bit through sample sites aimed at producers of EDM. One aspect of Electronic Dance Music is the use of female vocals, very similar to the way vocals are used in Dub: lyrics, words, lines and adlibs drop in and out at strategic moments in the mix. This opens up a door of possibilities for the producer of DUB and even your non-DUB Reggae, because the availability of vocal packs for EDM producers is pretty wide. 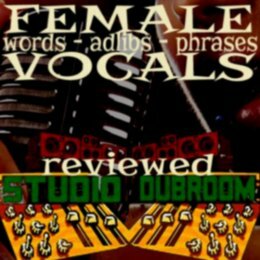 For this review, we take a look at three different female vocal packs. The packs can be downloaded for free and they include a license for use in your productions, even commercial releases are possible. One nasty point: one of the packs can only be downloaded by registered members of Facebook but then you could get a friend who is registered at that website to do it for you. First, there are two different packs containing the talented and skilled voice of UK based singer MANDY EDGE. They are available for free download at the SAMPLE RADAR website, you can find the first pack carrying 426 mB weight here, and the second one (237 mB) can be downloaded from this page. Then there is a free Vocal sample pack from UK based Dubstep Singer/Producer AIVA, which you can get after liking her on Facebook. That's just very unfortunate for those of us who do not have a Facebook account but then, again, you could ask someone who does. All three packs contain a really impressive set of vocal lines, phrases and adlibs. They also contain lines and phrases that you might not want to use: slackness is easy to extract but then, slackness is always an easy road. In the same time, slackness is such a thing where a self-inflicted blind spot usually functions very well. In fact, such a blind spot in necessary for all conscious artists wherever they perform or produce so let's take-this-truth-to-be-self-evident. The samples come with information about pitch and BPM included in the filenames and folders, some are dry and others come with effects. The effected samples can easily be incorporated in an already existing tracks you might have made, the influence of DUB is not just undeniable present, these are dubbed vocals. When used with care and respect for the singers, the way it should be done anywhere and everywhere, are -literary- priceless additions to your sound library. They can add an extra dimension to your track(s), and -depending on your creativity- that extra dimension does not have to be a "techno vibe" or something like that. You can even say that just these two lines give a very special and atmospheric elements to the riddim, even an identifiable element in the sense that the lines keep ringing in your head after the track is done. Three excellent vocal packs, well, more than excellent. These are very talented and skilled singers that control their voice in an impressive way. When done respectfully, the samples can bring your riddim(s) further without dragging everything into slackness or other evidently cheap abuse of the female part of our human race. WWW, July 2014 - Contemporary Jamaican Reggae, with Junior Kelly riding the smooth riddim alongside backing vocals and a well worked out arrangement is something we can only thankfully... receive. As far as we could tell, the track was released on 7" vinyl in Jamaica and is now also available for free download at Junior Kelly's Reverb Nation page. Junior Kelly shows just how versatile he is. A heavyweight Roots Rasta track or a more smooth one like this: he is perfectly able to voice the riddim and share a good vibration while doing so. Download "Receive" and while you're at his page at Reverb Nation, consider buying a track or two more. WWW, July 2014 - Junior Kelly's life hasn't been easy. Born and raised in Kingston, he saw his older brother -a DJ for Kilimanjaro Sound System- brutally murdered. That's right, and on top of that his brother was the primary source of income for the whole family. He was also the example for his younger brother, who since then has been working hard to spread a positive message as a vocalist. 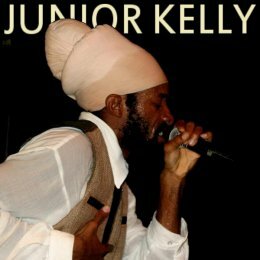 Knowing about this background of Junior Kelly can only lead you to a deep sense of respect for the Jamaican singer. Someone who does not turn to violence and criminality but instead uses music and spirituality is -or should be- an example to many. His affiliation is with the House of the Bobo Shanti and thus with artists like Capleton and Sizzla, but musically he takes a different direction and with that, he appeals to ones who prefer their Reggae sung rather than chanted over. 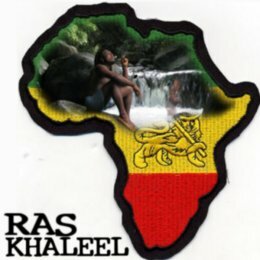 WWW, July 2014 - Ras Khaleel actively started voicing in the year 1999 and has been riding many riddims ever since. His talented, skilfull voice is versatile and of a consistently high quality. His faith in Jah is one of his main inspiration sources and that can instantly be felt in the heart. Download some of his musical tunes from REVERBNATION.com and the Dubroom's music carrying his voice and you will not be disappointed. Instead, you will be encouraged. Often compared to Luciano, a definitive fact is that Ras Khaleel knows how to deliver a conscious message as well as a more lighter thing like a lover's tune. Never losing dignity or consciousness, he is definitely an example to just too many vocalists doing the slackness thing. WWW, July 2014 - Voicing with one of the heaviest UK Sound Systems (Iration Steppas) is a heavyweight job. Almost as heavy as the bass going through the many speakers of the sound. You need to have the right voice, the right words and the right attitude. Dan Man has it all and some of this is captured in RASTA VOCAL SAMPLES. First things first: do not just go by the names and here is why. When you check the reviews of Sound System Vocals Parts one, two and three, you will find out that the material featured in these packages are applicable in much more than "just" a Sound System or DJ live set. Since the Dubroom released several full lyrical tracks from the material, that's an easily establishable fact. When you read "Rasta Vocal Samples", you do -unlike with the name of the previously mentioned products- expect more than material for a live Sound System or DJ-set and yet it takes a lot of work to get there. In other words, this is not your primary vocal package when you are looking for material to make full length Reggae tracks. There is simply not enough variation and material in general to construct a sensible lyrical track. Possibilities will not be more than a few lines. In fact, the main focus of RASTA VOCAL SAMPLES is not the producer of Reggae or even DUB. This is definitely a product that should be considered first and foremost by owners of Sound Systems, virtual online or in the Outernet. The major part of the pack contains shouts and short phrases which will -when placed strategically- give an extra touch to your selection without the shadow of a doubt. Unfortunately, it has a part reserved for your typical Sound Clash phrases: "killing soundboys" and stuff like that. Not directly something to put in your righteous Roots track, and even a bit outdated as the vibe in Roots land is more and more that of One Love instead of clashing. It could be that the producers of RASTA VOCAL SAMPLES have focused a bit too much on other forms of music, music where Sound Clashes may very well be popular. The fact that there is a part two, not with Dan Man, which will not be reviewed in the Dubroom doesn't promise too much good either. Fortunately, you can just choose to ignore the verbal violence since there is more than enough material left. Especially when you've already purchased Sound System Vocals Parts one, two and three at LOOPMASTERS.com and have not spent the virtual cash you own with each purchase, the few euro's or pounds or dollars it costs will definitely provide you with a valuable addition to your vocal sound library. For DJ's and Selectors, this product is definitely recommended. Producers of DUB will also benefit from the material as there are many short phrases, shouts and even a few singing lines you can use. 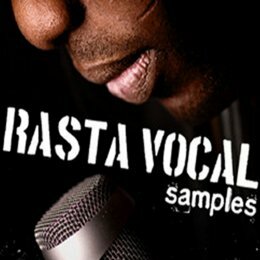 RASTA VOCAL SAMPLES is all about the music, about original music and about spicing up the music. This is a spice that gives a Jamaican flavor to non-Reggae tracks and adds some thrill and excitement on top of Roots Reggae riddims. 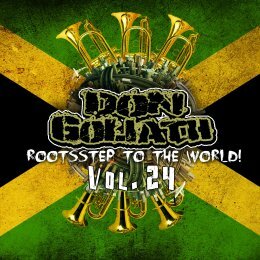 WWW, July 2014 - Twelve selections directly from the enormous catalogue of Don "Rootsstep" Goliath, who was recently reviewed and interviewed in the Dubroom. Twelve selections of pure niceness for the lover of Roots Reggae and Dubstep alike, an enormous accomplishment in itself. It's yours for free! According to the folks at LCLWEB, the Net Label responsible for this 12-pack of digital roots niceness, it wasn't that easy to pick twelve tracks and we here at the Dubroom can only have empathy for that. When you love this sound, you just can't get enough of them and since the quality of the music is rather consistent, you just want it to play on and on. Well, we can do that for a full 50 minutes long at least, thanks to what must have been days of choosing time. 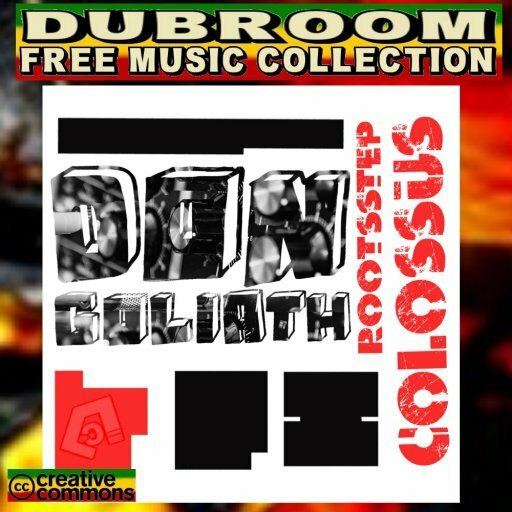 WWW, July 2014 - Yes, it could be that you missed the Dubroom's interview with and review of DON GOLIATH and his unique sound called ROOTSSTEP with links to volumes 1-23 of his ROOTSSTEP TO THE WORLD series. It could be, but it shouldn't given you just had the link provided. Well, you can read on too and check the link later for that's a thing you simply just want to do. Introducing the 24th Chapter of Don Goliath's excellent series and this time he brings U Roy, Wayne Mc Arthur. Victor Tebebe and Princess Black Inna Rootsstep Style! It's truly incredible to see just what Don Goliath has produced just the last 1 1/2 year or so. In spite of his name, this one Goliath has nothing against Jah and even more, he is active in spreading JAH Music into this next century and generations with his unique sound. It's a sound that many will say is "Dub Step" and not just because of the four-letter word in the term Roots Step. However, this is Reggae and it is even Roots Reggae. Reggae is a rhythm that one can play in many styles. Roots Reggae is a rhythm and a vibe that one can play in many styles as well. Yes, it is a big mistake to look at Reggae as a genre of music. It's not. It can be that old Studio One Sound, it can be the 21st Century Rootsstep Sound, but it remains to be the same rhythm. This, in a nutshell, is Don Goliath's Rootsstep Sound. 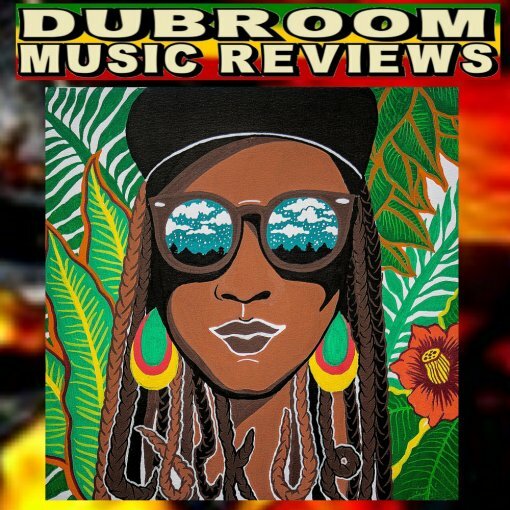 This is a sound that will appeal to lovers of Dubstep and it will appeal to more open-minded lovers of Roots Reggae too. This is a sound that gets the support from a whole army of well-known vocalists like U Roy, featured on this album. Not without reason, for what it shows is that the sound might change throughout the generations, the message does not and the music does not. This is a sound that you should check out and support, when you are positively interested in the promotion of (DUB) Reggae and Consciousness. You will find many, many conscious messages throughout the 24 chapters. Messages that need to be heard by every generation. RIGHT-CLICK HERE for a legal mixtape of the album straight from the Don's website or better: CLICK HERE FOR ITUNES. Or CLICK HERE for our interview with the Don himself. WWW, July 2014 - French speaking/reading? It's not everybody's ability but in days of Google Translate it is possible to check out a website even when you don't read the language. In this case, a website that does make you positively envious at those who don't need such a tool because of the wealth of information alone. Presenting CULTURE DUB presenting the dynamic French DUB/Reggae scene! It's a label. It's a Radio Show. It's even a stricktly vinyl show that's recorded on video. It's an ongoing series on the history of DUB Music. It's filled with reviews of new releases and updates about upcoming live events. It's a website. It's in French. For the French speaking and based tribe of DUB. A very vibrant and active part of Europe when it comes to the Roots Dub Reggae scene. On the Internet for example, where French based Net Labels are no minority. This is the situation where we find the website CULTURE DUB and the first thing that comes to mind is: heavyweight, both in quantity as well as quality. 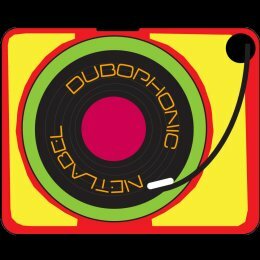 The webmaster is writing an ongoing sequel about l'histoire de Dub, for example. That's not to hard to translate, right? The title that is. You shouldn't judge a book by it's cover, but this looks pretty academic and therefore in-depth. WWW, July 2014 - In this May 2014 release from the Maltese Net Label DUB KEY, we are getting introduced to Singer Tempa inna Showcase Stylee! UK DUB and Roots Reggae as authentic as it can be, from the top to the very last (DUB) drop. 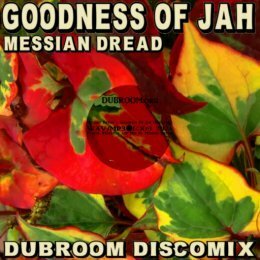 Skillfully played by the MessenJah Music Players, mixed by Apocalypse Dub Faction's Rod Chaplin, and skillfully voiced by a veteran in conscious Roots Reggae. Read on and download this gem for free! First things first: this is Singer Tempa's debute album. He is the house MC for the Lion Heart Sound System, while he voices for MessenJah as well. Yes, he is based in the UK where a culture of Roots Reggae Sound Systems dates back decades. It is in this culture that Singer Tempa was born and where he grew his vocal talents by continually performing with sounds. "Cut More Collie" is a ShowCase album. You will get the vocal tracks but the dub versions as well. Niceness fe true. Four vocals, four dubs, one Discomix long. Everything in the UK Roots and DUB Tradition, which simply means a massive piece of work that cannot be absent in your collection of better and higher quality free/legal DUB Reggae Music. A crucial release by DUBKEY once again! WWW, July 2014 - The first thing you should avoid is to take the title of this EP serious. You should take the name Bryan Art serious, though, and the four excellent musical works of this release even more. Why? Well, that's the four dollar question you will see answered in this review of Fresh Start, the EP. First, the music. 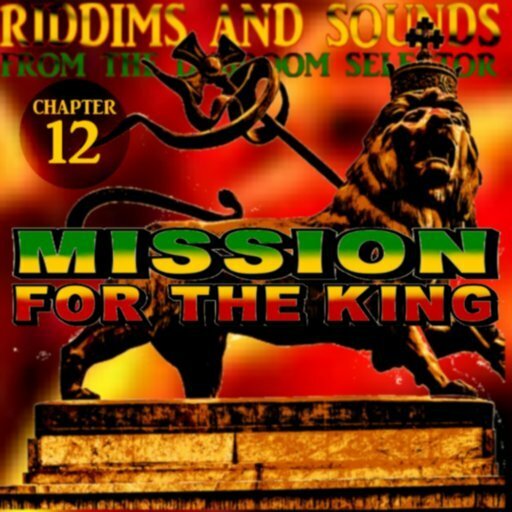 Four excellent contemporary Jamaican Roots Reggae tracks, perfectly recorded into the multitrack by Bryan Art's FILE13 Band. This is the kind of Roots Reggae that counters the slackness and emptiness that is the majority of (Jamaican) Dancehall. This is the kind of Jamaican Music that brings blessings to the whole world. 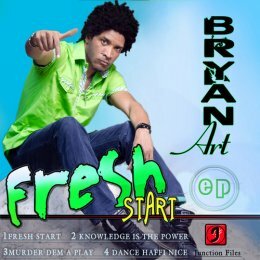 With special appearances by none other than Sizzla and Queen Ifrica accompanying his evidently talented and skilled voice, "Fresh Start" is an essential introduction to this multi-tasker in Reggae Music as well. The name Bryan Art, namely, should need no introduction and the fact that it might is a shame. So in a way, Fresh Start is a proper title. It's a fresh start for us as listeners, a fresh chance to get ourselves familiar with this very interesting brethren. Bryan Art is a guitar player, song writer, band leader, and a singer. Among other things. He has toured all over North America and Europe, sometimes as part of a backing band and sometimes in a different setting. He has been the guitar player of the Fire House Crew, that is King Tubby's House Band personally formed by the Godfather of Dub himself, band leader for Bushman's backing band, the list goes on and on. The music of this Art is not to be ignored or underestimated! So, what's this with a four-dollar question? Isn't that just a tip on a meal? Well, yes. It's also the price you pay for the four excellent musical works when you CLICK HERE. Get your Fresh Start now and if you must, you can also listen to this quartet of excellency before you do below. 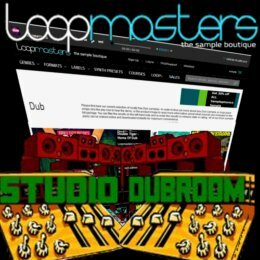 WWW, JULY 2014 - In what could very well be the first review of the product, we take a look at Mad Professor's Reel to Reel Reggae Part Two as it was just released by Loopmasters. They've been visiting the Professor in his Ariwa studio once again and came back with some very, very interesting material. Read all about it, at least download a demo for free and find out how your productions can be served and improved by the package. 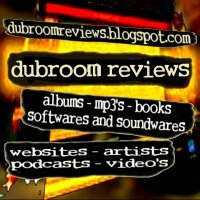 For this review (and of course for the Dubroom's musical productions) we've purchased the Music Loops and the One Shots. For the drum and the bass, we simply took a listen to the streaming demo's and dived in the downloadable 55 Mb free demo pack. In the the knowledge that we're dealing here with stuff from Mad Professor's Ariwa Sound Studio, and with reference to Part One, we find ourselves having a solid foundation for our examination. Let's call them free Online Music Distributors or OMD's for the sake of this article, shall we? For that is what websites like SOUNDCLOUD, REVERBNATION and others we're going to take a look at, actually do. You upload your MP3/WAV file(s), some pictures and write a little bit of info and voila, there's your page. Ready to be viewed by what many sites call "fans", your music available for download and/or streaming and/or purchase. This is exactly what I've been doing during these last months. 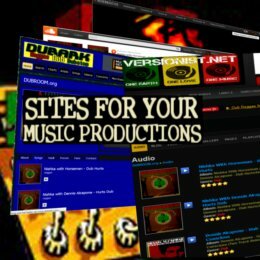 I've been uploading the new Dubroom music to a number of sites, just to see what would happen. An experiment, of which some results are not yet available which in itself makes a point. Yes, that first. There is no website that will instantly give you "fans" or even views. You'll have to use the OMD's as part of your own route, like they do with your music. You see them as distributor of your music where they see you, us, as content provider for their websites. Nothing wrong with that, but nothing to overlook either. Indeed: gone are the days where just one website could boost an artist and could even become a threat for established musical industrialists. Gone are the days where you could reach out to that large audience by committing yourself to one OMD. This here is a scattered Internet, where listeners have to look for the good music using all kinds of websites and we, music creators, have to do the same. We have to use all the websites or at least three or four, and we have to have a website for ourselves as well. Even a facebook page won't do.